Each 4-H Club may enter one educational display. The top two displays overall will be indicated with special rosettes. All displays will receive $25.00. feet high. Displays over this size will not be eligible for ribbons. All displays must be in place by 9:00 pm Wednesday, August 29th. The displays must be removed between 5:00 and 6:00 pm on Sunday. Space is limited and will be allocated to only those who registered in advance. Please contact Brenda Anger (733-2883) to register. Please call early as there is a limited amount of space. This is a young group of 4-H members that have learned how to house, raise and show their beef steer or heifer project. A special thank-you to all parents for their support. Each 4-H Beef Club member is encouraged to make a poster that will be hung above their project. Each poster will indicate the 4-H member’s name, the 4-H project’s name & breed, and a 4-H symbol. The Harrow Fair Board will provide 1st, 2nd, and 3rd place ribbons to the top posters. The 4-H Sheep Club members learn how to select, feed, shear and train a pair of lambs for a market class. Each 4-H Sheep Club member is encouraged to make a poster that will be hung above their project. Each poster must indicate the 4-H member’s name, the 4-H project’s name & breed and a 4-H symbol. The Harrow Fair will provide 1st, 2nd, and 3rd place ribbons to the top posters. Club members would like to invite you to the 4-H Auction Friday, August 31st at 3:00 pm. Members of the 4-H Cake Decorating Club will be learning several techniques to decorate Cakes and Cupcakes. Requirements for the members Achievement are to make 3 cupcakes and decorate them to be judged and displayed at Harrow Fair. Members of the 4-H Barn Quilt Club will learn how to design and paint a Quilt Block on a 2’ x 2’ piece of plywood. They will choose their own design and colours. Requirements for the members Achievement are to display their finished Quilt Block that will be judged at the Harrow Fair. The members of the Essex County Field Crop Club learned about soil types, how to choose and set up a planter, and how to market their crop. Members were encouraged to work with their parents in planting, maintaining and harvesting a five acre plot of corn or soybeans. Members would like to thank Dave Kendrick (Veritas), Josh Mailloux Pioneer Seed, Thompson Ltd., Agris Co-op (Chris Snip and Vicky Michinski) and Setterington’s Fertilizer (Ryan Renaud) for their continued support of 4-H.
Come to the 2018 Harrow Fair and see their results. Members of the 4-H Yard Art Club develop a concept for a piece of yard art. They collect the appropriate components, construct their piece and prepare it for display. 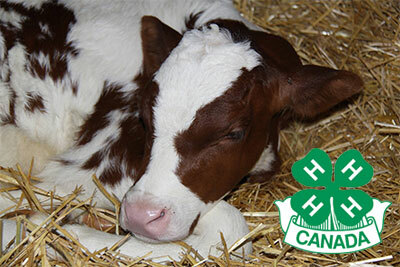 Each 4-H Dairy Club member is encouraged to make a poster that will be hung over their project. Each poster will indicate the 4-H Member’s name, the project’s name & birth date and a 4-H symbol. The Harrow Fair Board will provide 1st, 2nd and 3rd place ribbons. The Essex 4-H Dairy Club would like to thank these donors and the Harrow Fair for their support. Members learn about feeding, watering, housing and taking care of them. They will be raising three birds of their choice donated by Richard & Sue Pouget, Essex Feed Warehouse. Members are required to give a 2 minute speech or make a poster on their project bird. For achievement day members are required to exhibit one of their birds. Club members would like to invite you to the 4-H Auction Friday, August 31st at 3:00 pm. Consider taking one of these fine feathered birds home to your family. Our 4-H members would like to thank-you for supporting us at the Harrow Fair. Each 4-H Swine Club member raised two market hogs. See members together with their animals in the show ring Friday morning. You are also invited to register for a bidding number prior to our auction sale at 3:00 pm. Consider taking one of these fine animals home to your family. Our members would like to thank-you for your support at the Harrow Fair. (Sale rules and regulations are listed on page 104). Each 4-H Swine Club member is encouraged to make a poster that will be hung above their project. Each poster will indicate the 4-H member’s name, the 4-H project’s name & weight, and 4-H symbol.